Come party with us! Join us for our 8th Annual Fundraiser to support Pro Rata. Come experience the raffle, silent auction, and great entertainment. Enjoy tunes from The Gentlemen's Anti-Temperance League and tasty food. Watch our Facebook page and subscribe to our email list to get updates about what will be available to bid on! Cost: $40-80, tax deductible after $50. You pick your price! We use a sliding scale for our events and performances because part of our mission is to keep them inclusive and accessible. Ticket price includes two drink tickets for wine or beer (cash bar is available) plus 5 raffle tickets. Children under 13 are welcome and do not require a ticket. All proceeds raised at this event go directly to helping support Theatre Pro Rata in making smart, vivid, varied, and gutsy programming. But, really, this party is all about getting to spend quality time with those who continually support and believe in making high quality theatre accessible to as many people as possible. 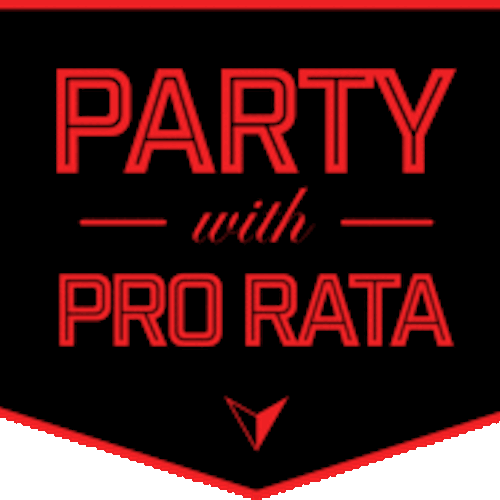 So come on out on the 28th to Party with Pro Rata! We can't wait to celebrate you!